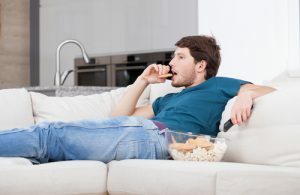 For many of us, lifestyles experience increasing inactivity. With our busy schedules, we have less time to practice a physical activity and we stay seated major part of our days. This way of life proves to be harmful for your liver, and your general health. To allow your body to get rid of this lipid and carbohydrates reserve, a regular physical activity is necessary, and highly recommended. A study published in 2015 in the medical review Journal of Hepatology by Professor Seungho Ryu demonstrated the link between a long seated position, a poor physical activity, and Non-Alcoholic-Fatty-Liver-Diseases (NAFLD). This study has been realized by searchers from Newcastle University, among 139, 056 people, from Korean origin. The results were striking: among these subjects, almost 40,000, or almost 30%, were affected by NAFLD. An accumulated inactivity and poor physical exercise increase the risk of Non-Alcoholic Steatosis Hepatitis (NASH). What is steatosis hepatitis? We are talking about a liver disease due to an accumulation of lipids inside liver’s cells, called hepatocytes. (3) It can go off because of a fat diet, or an overconsumption of alcohol. Many droplets of lipids infiltrate inside the liver, to make it heavier. Increase of the liver’s volume. An uncomfortable feeling in the abdomen area. If you do not exert yourself enough, fat might pile up inside your body. Do not hesitate to contact your doctor for more information! The secret is to practice a regular activity. It does not mean high level sports, but walking, running…benefit from these moments when you are not working to move! There are many possible activities: footing, swimming, long walks or hiking. Even taking the stairs over an elevator is beneficial! Then, your body will be forced to collect inside its reserves of fat, which make you lose some weight. Leave your home sooner in the morning to do part of the way by foot (or maybe the entire way). Increase the distance between where you park and where you work. Benefit from lunch break to walk a little bit, during 10-15 minutes in the neighborhood. Go to the supermarket by foot, if it is not too far away. Stairs are your friends, and sometimes faster than the elevator! 1 minute of bicycle corresponds to 150 steps. 1 minute of swimming to 96 steps. 1 minute pf walking to 90 steps. So, do not hesitate: move!